This is the body which sets the examinations and confers the award of the Blue Badge on successful candidates. 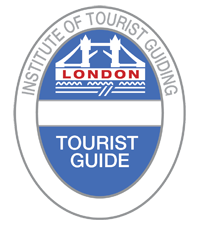 The Institute of Tourist Guiding sets tourist guiding standards and is the registration body for the tourist guiding sector in England, Wales, Northern Ireland and the Channel Islands. One of the professional organisations which runs courses for the Blue Badge award. It also is a London and national organisation looking after the interests of Blue Badge guides. ch of the Trade Union UNITE and provides members with support as well as education and training programmes.